"You can be a bag maker or a bag taker!" AFN relies on volunteers to help paint and fill the bags of art supplies. You can drop in any time we are open. The process takes approximately 1.5 to 2 hours to complete. If your group is more than four, please call ahead so that we can save your seats! Please call 303.321.1202 during open hours to schedule a time and date to come in. Our hours are Tuesday thru Saturday, 10:00am to 5:00pm (volunteer hours done between 10:30am and 3:00pm). The maximum group size we can accommodate one at a time is 16 persons, whether adults or children. 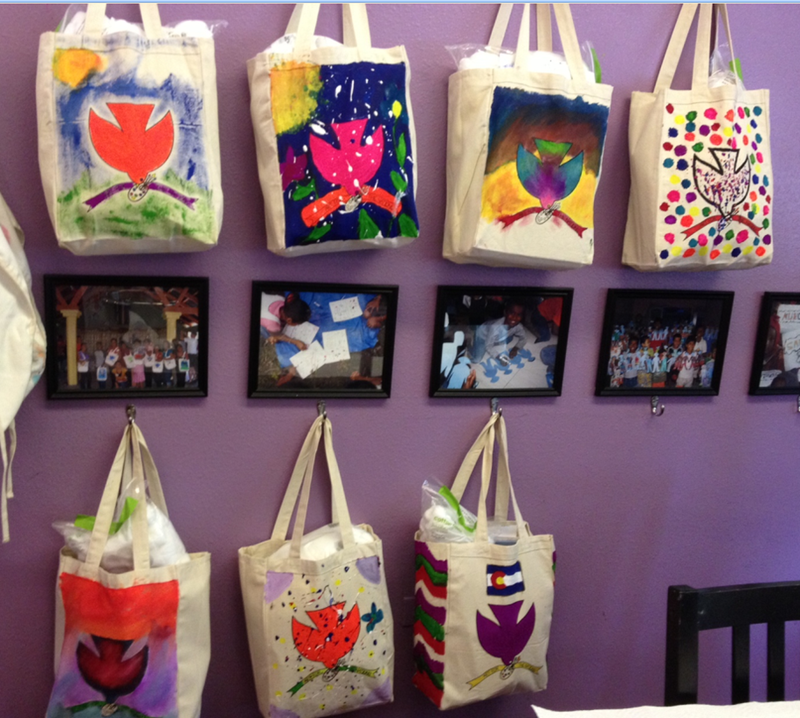 All volunteering to paint and fill bags, is done at our beautiful location, which was generously given to us, in Denver, Colorado. We feel it is important for volunteers to come in to Art for the Nations so you can experience the full story of our organization through pictures of children doing the art projects, watching our video and seeing where all the bags have gone around the world! We are happy to give bags to any mission or service team. 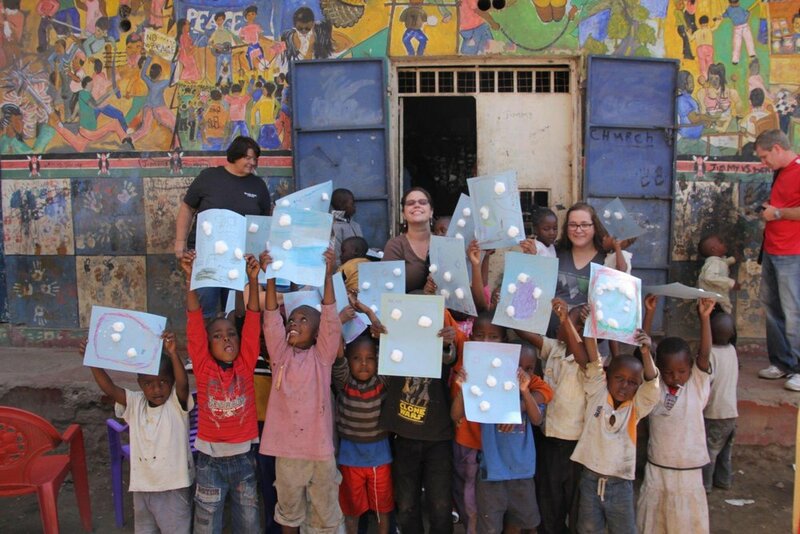 Because of our blessings, we want to bless children around the world by giving them a chance to use art supplies. Each bag contains enough for 50 children to complete 4 art projects. Each project may be linked to a scripture lesson and translations are available in most languages! If you are in the Denver area, you can pick up bags of art supplies during any of our open hours. If you need more than 10 bags we ask you call 2 weeks prior to ensure we can fulfill your order in a timely manner. If you live anywhere in the United States and would like to receive bags of art supplies, we are happy to ship them to you. Please call 2 weeks prior to ensure we can fulfill your order in a timely manner. DONATIONS ARE ACCEPTED, BUT NOT EXPECTED WHEN YOU TAKE THE BAGS. We are a nonprofit, so all donations are tax-deductible. 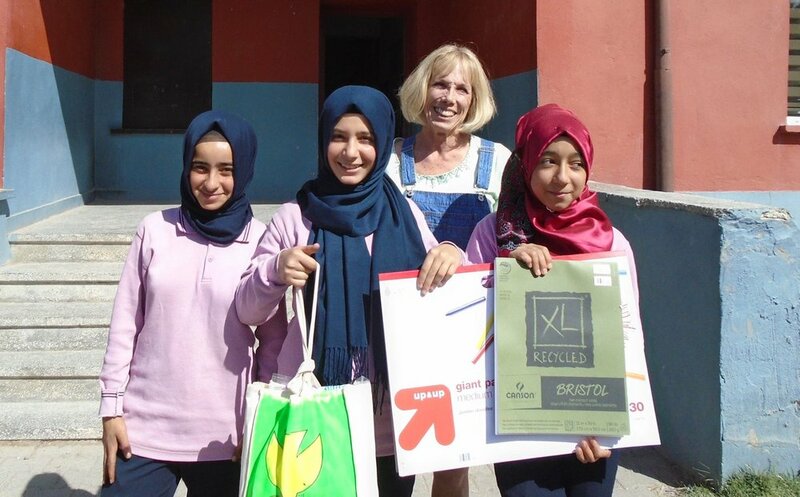 A $35 donation covers the cost of one bag of art supplies.